How to setup a home network without internet. This article understands how to setup a home network without internet. Assuming that there is a combination of wired and wireless users, a wireless router can be used. Purchase a wireless router in case you do not have one. Wireless routers comes typically with 4 port inbuilt switch. Connect the wired users to the inbuilt ports on the switches. 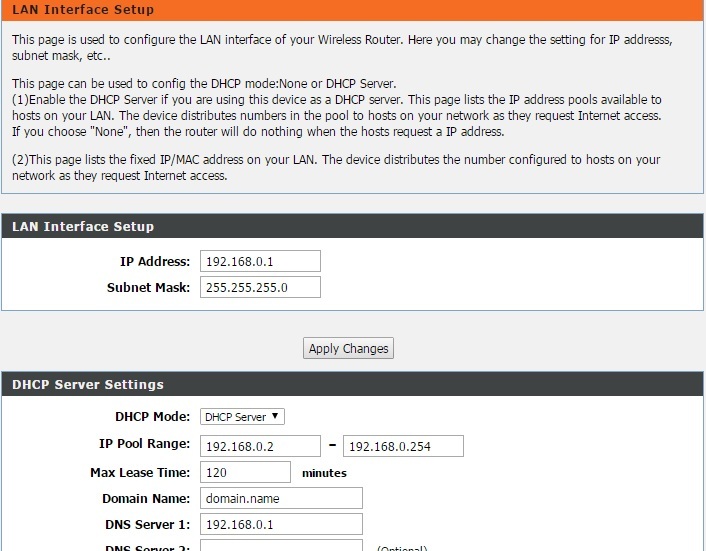 Manually configure the DHCP server on the router. The screenshot is shown below. The LAN IP address of the router is 192.168.0.1. 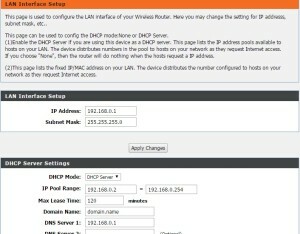 Configure the IP address range of the DHCP server (IP Pool range) as shown above. This is required for providing IP address to users on the network for internal communication. Since there is no internet, DNS configuration is not required, although it can be set as 192.168.0.1. Configure a SSID name for wireless access , along with associated security protocols like WEP or WPA. Connect the wireless device (Laptop / Smartphone) to the SSID by configuring appropriate security parameters for WEP / WPA. Check if the laptop has received an IP address belonging to the above pool. This can be verified using ipconfig command on the command prompt of the system. Ping the systems to check if basic connectivity is working between them. For example if the IP address of the wired system is 192.168.0.2 , type the command ping 192.168.0.2 from the command prompt on the wireless device to test basic connectivity.